A journalist was reportedly shot dead by a Jawan of the 2nd Tripura State Rifles’ (TSR) following an altercation between the two in Bodhjung Nagar in Tripura on Tuesday. Sudip Datta Bhaumick, 49, the journalist who was shot dead, worked with Syandan Patrika, a leading Bengali newspaper of Agartala and is survived by his wife and daughter. “Sudip Datta Bhaumick, a senior journalist with my newspaper, had gone to meet the Commandant of the 2nd TSR at RK Nagar after obtaining due appointment from him. But when he reached there, he had an altercation with a PSO of the Commandant outside the latter’s office, during which the PSO shot at him. Sudip died on the spot,” Subal Dey, editor of Syandan Patrika, told The Indian Express. 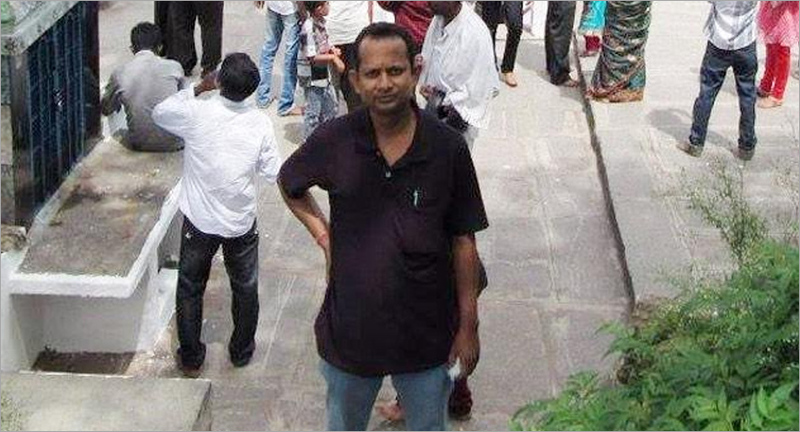 According to media reports, Nandu Riyang, shot Bhaumick from a point-blank range. He was later arrested. Bhaumick, who was taken to AGMC in a critical condition, was declared 'brought dead' by the doctors.